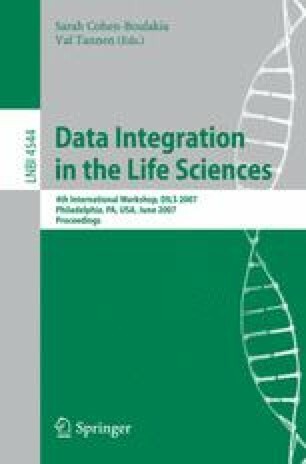 This paper presents the LSLink (or Life Science Link) methodology that provides users with a set of tools to explore the rich Web of interconnected and annotated objects in multiple repositories, and to identify meaningful associations. Consider a physical link between objects in two repositories, where each of the objects is annotated with controlled vocabulary (CV) terms from two ontologies. Using a set of LSLink instances generated from a background dataset of knowledge we identify associations between pairs of CV terms that are potentially significant and may lead to new knowledge. We develop an approach based on the logarithm of the odds (LOD) to determine a confidence and support in the associations between pairs of CV terms. Using a case study of Entrez Gene objects annotated with GO terms linked to PubMed objects annotated with MeSH terms, we describe a user validation and analysis task to explore potentially significant associations.